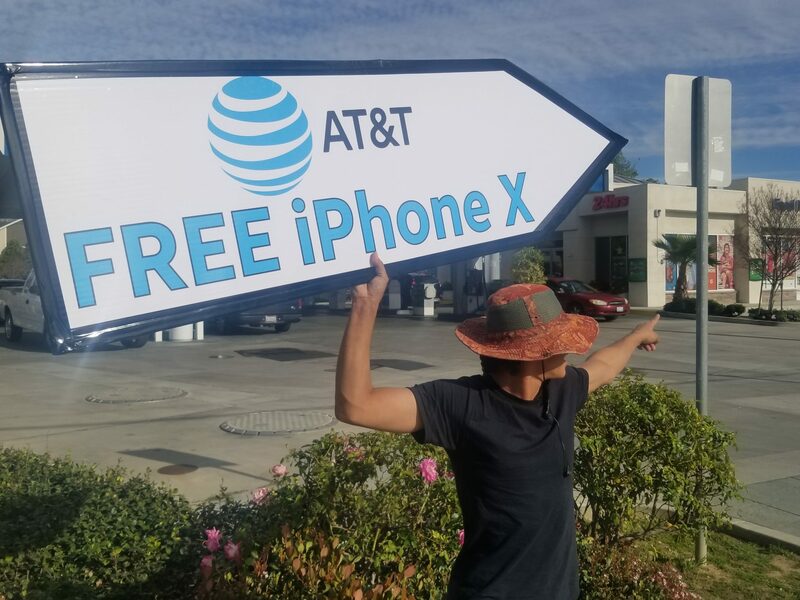 and activations, specifically push sales for the iPhone X, and create additional brand awareness in the communities they are well established. 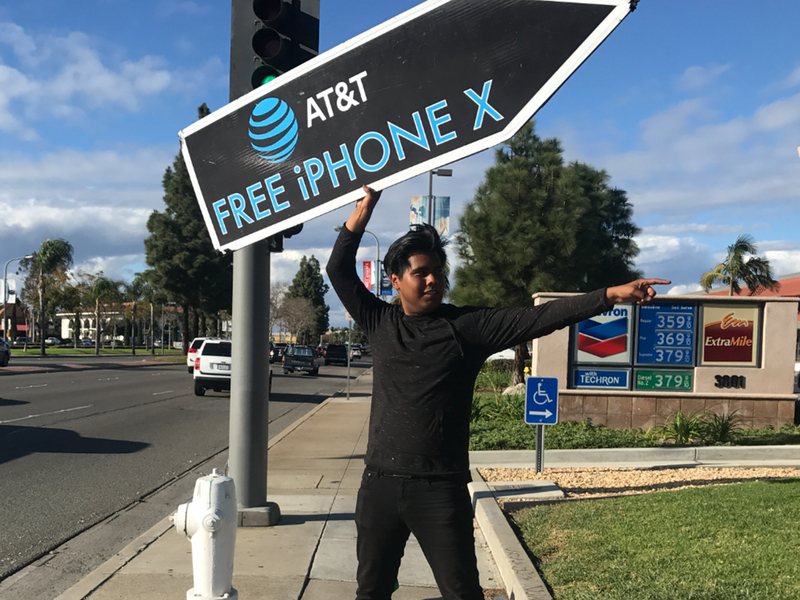 iPhone X” as well as a Spanish side “iPhone X Gratis” in an effort to target the diverse neighborhoods of Southern California. Some positive feedback for the Sign Spinners I do have, is that they are all very upbeat. They went out there and talked to consumers and tried to get them to walk into the store. 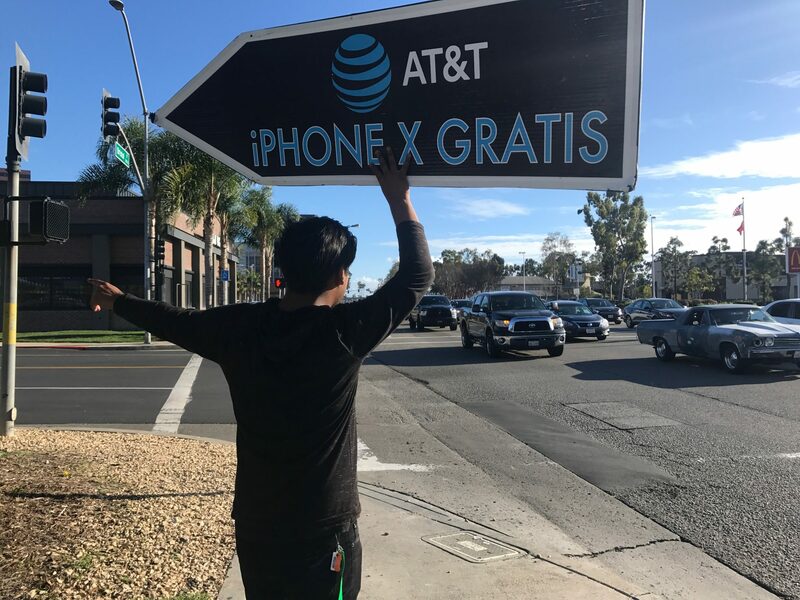 In addition to that we did have some rainy days and your employees still went out there and tried to get AT&T some more business, the employees never complained and was positive throughout the whole shift. I would definitely recommend this company to advertise any business. Robert Oliver was very energetic and active, very polite and courteous. He was very creative in getting the publics attention and promoting AT&T. We appreciate it. I am one of the assistant managers at the Temecula AT&T retail store. I am writing to let you know of what exceptional job Brad is doing here. He is absolutley the most dedicated and energetic I have seen to date. I want to thank him and your company for the level of enthusiasam & skill he has been providing to our location. Freedom did an outstanding job spinning that sign. He brought in a lot of customers. Rico has the best moves we have ever seen! He has really brought a lot of business and has gotten many compliments from our customers. We hope to have him more!.